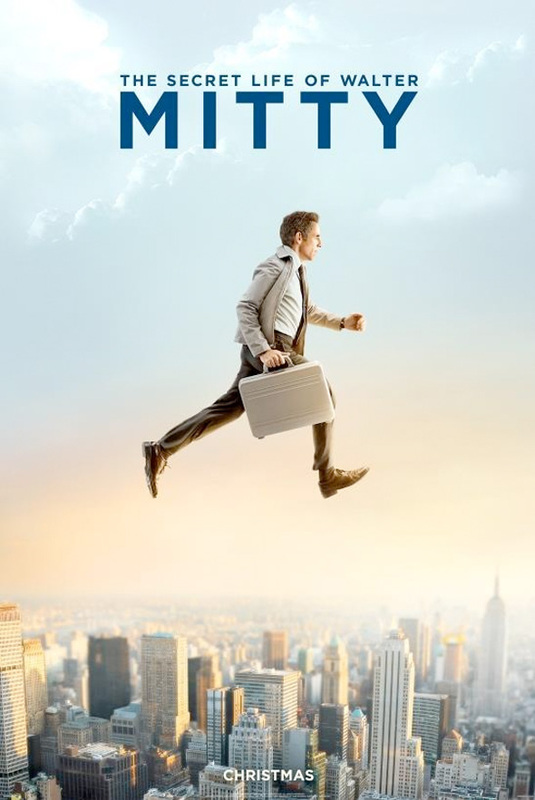 Following the first gorgeous trailer for The Secret Life of Walter Mitty, directed by and starring Ben Stiller, the first poster is here featuring our leading man running through the air as part of his many dream sequences we'll see in the film. The buzz from CinemaCon this past spring combined with that first trailer makes me think this is going to be quite a special holiday release from 20th Century Fox. We don't want to put too much pressure on Stiller, but there's a chance the film might even be up for some awards attention when the time comes. Kristen Wiig, Adam Scott, Sean Penn and more also star in the film. Look now!